Whilst I have been busy with the many photographic and publishing projects over the last couple of years I have also been active in Falconry, working with and running the Betton Birds of Prey and Conservation Centre in East Ayton, North Yorkshire. 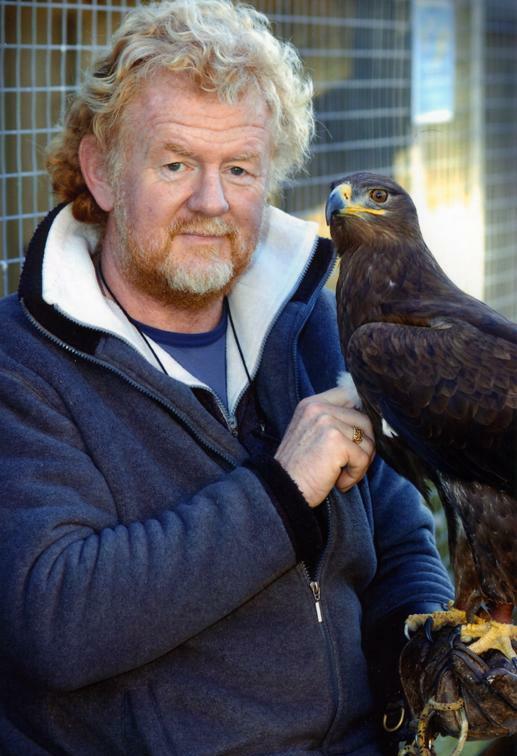 As the resident Falconer I have been training and flying a range of Birds of Prey, including Harris Hawks, Falcons, Ferruginous Buzzard, Steppes Eagle and several owls species. The joy of flying these magnificent raptors free has been a great way of adjusting to life in the UK, even if it means a more direct interaction with the British climate! At least the birds are well insulated! After flying predominantly longwings in Africa it has been interesting to see how the birds adapt superbly to very different climate conditions, even if they are changing. As well as flying birds for the sheer pleasure of it and holding individual training days, doing public flying displays during the summer tourism season as well as educational talks and displays for schools ,the Centre has also had success with breeding some species in captivity. This year some of the birds, namely the Great Horned Owls and the Harris Hawks, have laid eggs early, which may be a reaction to climate warming. Others look like they will be laying eggs soon.